UnIGENe stemmed from the research efforts of Corino Andrade and Paula Coutinho on familial amyloid neuropathy (FAP) ATTRV30M and Machado-Joseph disease (MJD). We focus on mechanisms of neurodegeneration, using hereditary ataxias (including MJD), FAP ATTRV30M, Huntington disease (HD) and other neurological diseases as models. Our research has been centred mainly on new genes and mutations in families, functional studies and genetic modifiers for dominant (SCA) and recessive ataxias (FRDA, AOA), spastic paraplegias (SPG), Huntington and HD-like diseases. 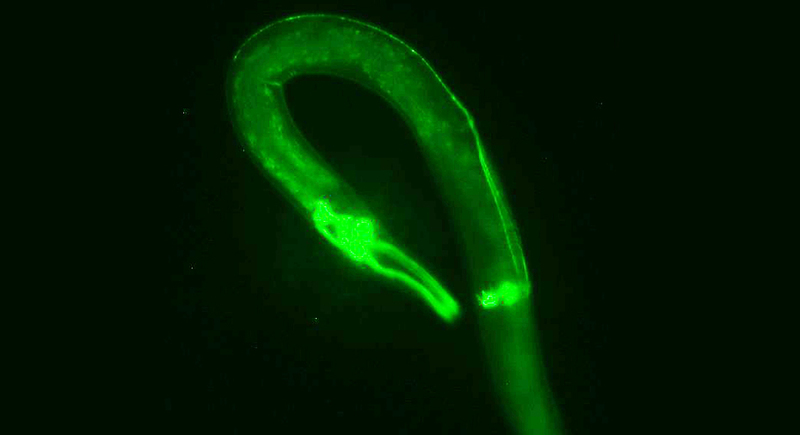 We used animal models (natural mutant or transgenic mice, and C. elegans) for Friedreich ataxia (FRDA), MJD(/SCA3) and SCA6, to look into disease mechanisms and function of normal and mutant proteins. Cell models were used to characterize ataxin-3 interactors and assess the role of protein processing and degradation systems in neurodegenerative disorders. We are also involved in the identification of disease modifiers and the role of epigenetic alterations in HD, MJD and FAP ATTRV30M. Another of our interests are founder effects, ancestral haplotypes and mutational origins in MJD, but also SCA2, SCA10 and DRPLA, as well as in FAP ATTRV30M. We are also concerned with some complex diseases, as migraine and Parkinson’s. We studied familial aggregation and ascertained susceptibility genes for common migraine, which is closely linked and has overlapping features and mechanisms with familial hemiplegic migraine, episodic ataxia and SCA6; channelopathies are also an interesting research path for neurodegeneration. (1) A national systematic population-based survey on hereditary ataxias and spastic paraplegias; (2) identification of new genes and mutations in SCA, AOA and SPG families; (3) genomic mechanisms resulting in large gene rearrangements; (4) methylation at the ATXN3 promoter as a modifier in MJD; (5) population stratification has an impact in finding genetic modifiers for Huntington disease; (6) genetic components in common migraine identified; (7) evidence for anticipation in FAP ATTRV30M; (8) a worldwide study of mutational origins of MJD showed two major ancestral haplotypes - Joseph and Machado lineages, dating about 7,000 and 1,500 years ago - the Joseph haplotype having an Asian origin and being present also in Australian aborigines; (9) the (ATTCT)n expansion in SCA10 is probably of Amerindian origin; (10) quite surprisingly, large normal (unstable) alleles at the HD locus are present in 6% of the general population. Clinical research is developed at CGPP (Centre for Predictive and Preventive Genetics, IBMC), and feeds back the bench with new research questions. We published over 200 publications in peer-reviewed journals; 28 PhD students successfully completed their theses.